Have you ever wondered what shape a football is? No, it is not a sphere - it is far closer to something called a truncated icosahedron, also known as a "buckyball". It consists of 12 black pentagons and 20 white hexagons and is about the most effective way of creating something nearly spherical out of flat panels. 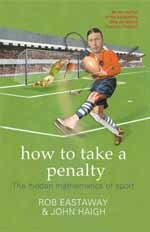 Curious sporting-related mathematical facts like this can be found throughout Eastaway and Haigh's book "How to take a penalty, the hidden mathematics of sport". Keith Devlin is a well-known populariser of mathematics, author of many books and appearing regularly on American radio as "The Math Guy" In this latest offering he walks us through the astounding mathematical capabilities of both plants and animals, and on to the abstract abilities of humans. 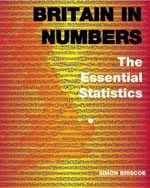 The author of this book is Statistics Editor of the Financial Times, the only newspaper in Britain to employ someone with this job title. 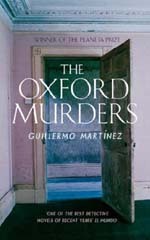 He is therefore uniquely well placed to write this fascinating and timely book, which sets out to provide a fact-based picture of the society we live in. 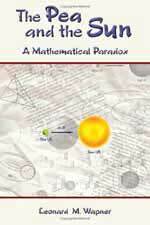 Anyone who has ever tried to analyse a game mathematically knows that things can get very complicated very quickly. In a game like chess, the number of possibilities for just the first three moves is already enormous, while, in poker, the roles played by chance, strategy and psychology seem to be mysteriously interlinked. This book is a curious mixture of biography, history and mathematics, all neatly packaged into an entertaining and enlightening read. 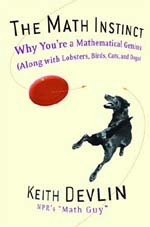 In essence it is a biography of the brilliant and eccentric mathematician, John von Neumann, who began life, much like many of the other great mathematicians, by being able to do basic arithmatic before other children could speak and with an ability to calculate exceptionally well before he even went to school. It's never easy for me to read a work of fiction based in and around a world I'm familiar with. Quite often I find that the author will make some small error of fact, perhaps about something very minor, which then stops me from enjoying the book as a whole because I begin to wonder what other facts, in areas that I know nothing about, are also incorrect. 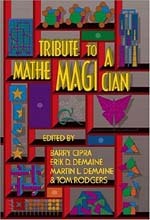 "Tribute to a Mathemagician" is the third book in a series of publications based on the Gathering for Gardner meetings, a regular gathering of enthusiasts who share Martin Gardner's interests in mathematics, magic and puzzle creation. 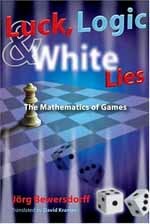 Martin Gardner, the father of recreational mathematics, has influenced readers all over the world with his "Mathematical Games" column in Scientific American, which ran for 25 years.